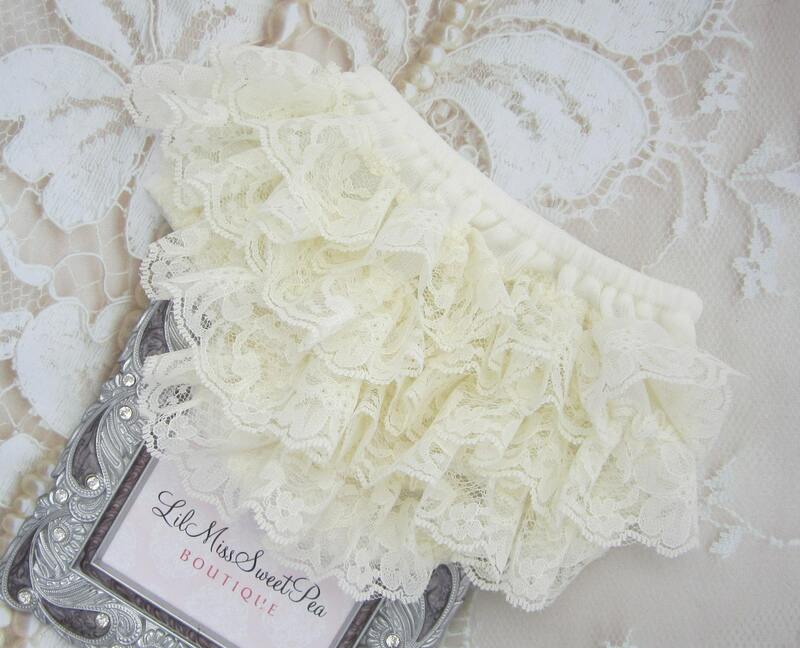 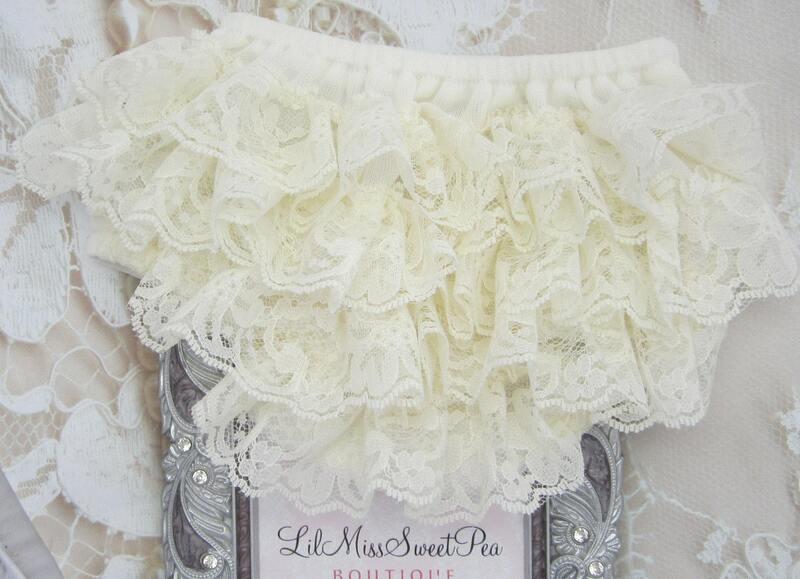 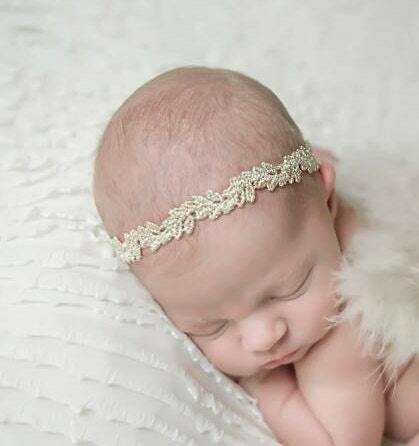 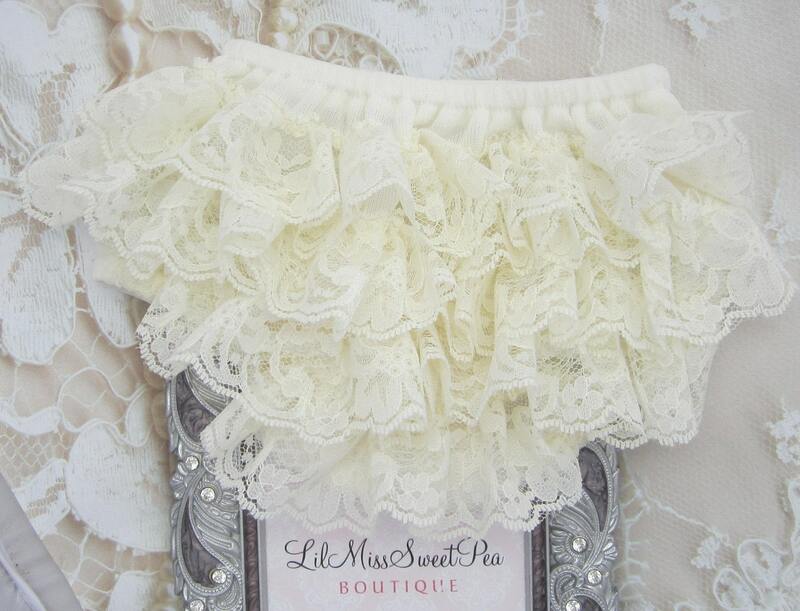 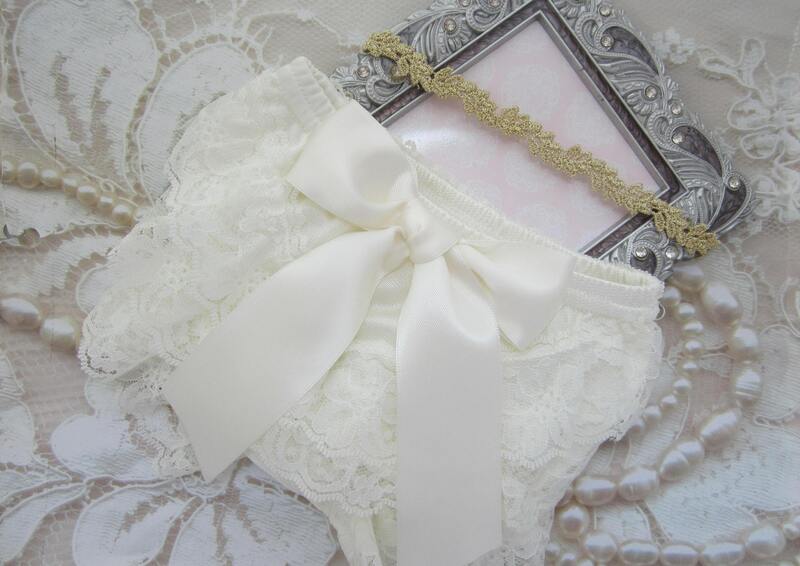 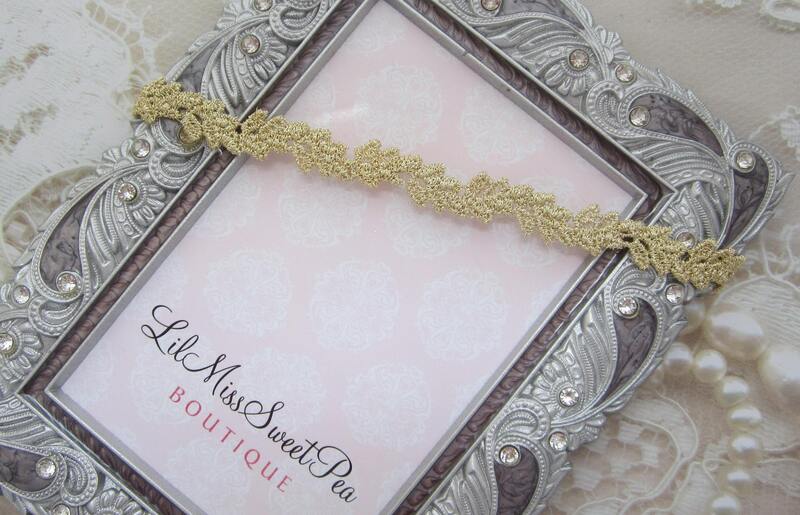 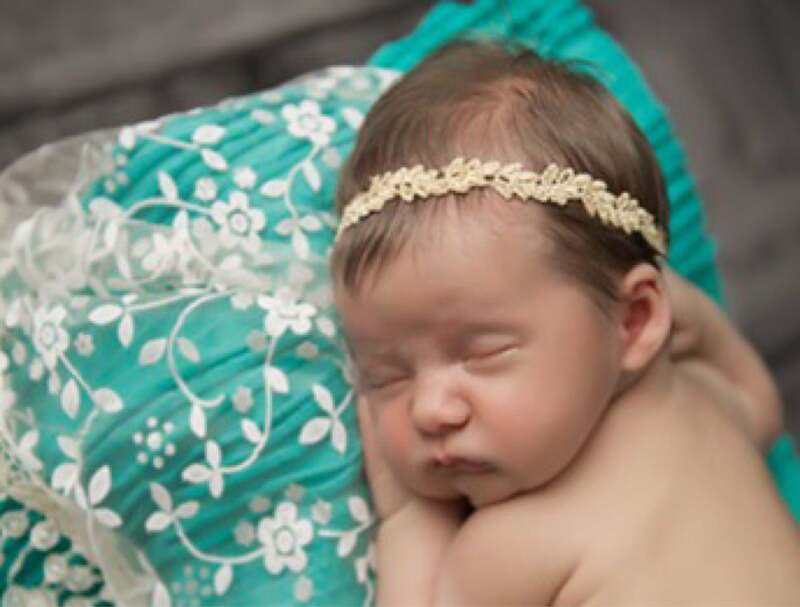 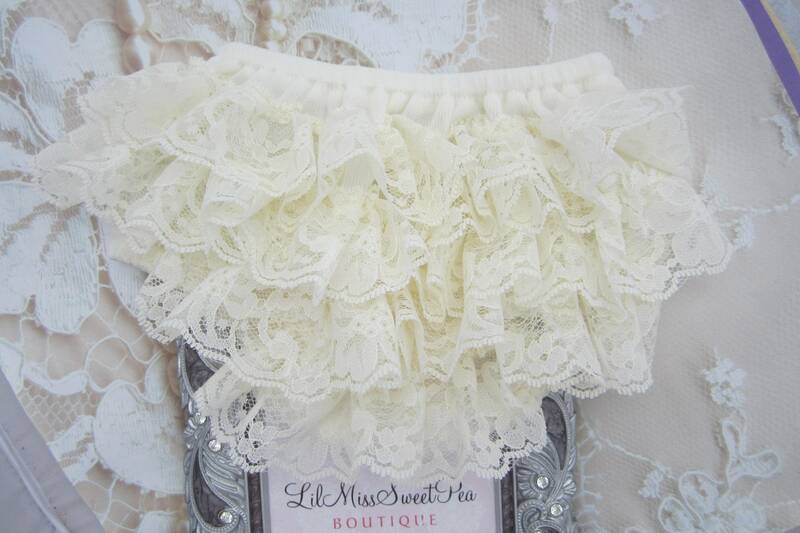 Newborn Ivory Lace Bloomers SND /OR Gold Trim Headband, lace diaper cover, bebe foto, Lil Miss Sweet Pea Boutique, foto bebe. 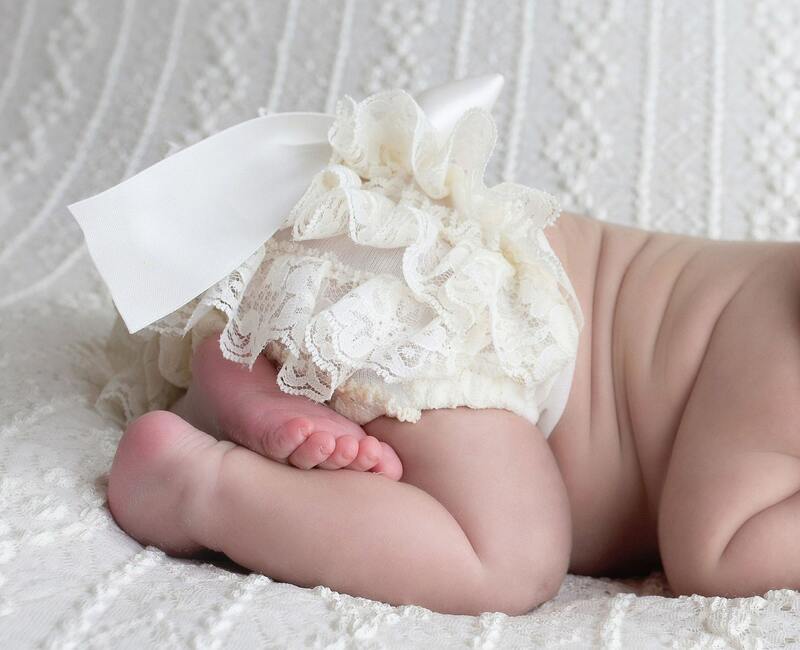 BLOOMERS: Fits 0-3 months, extra small size. 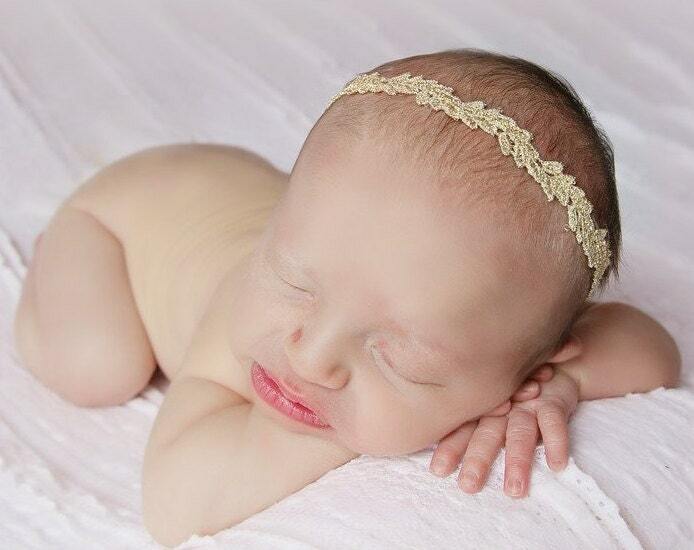 Choose headband only, bloomers only, or set of both from drop down menu.